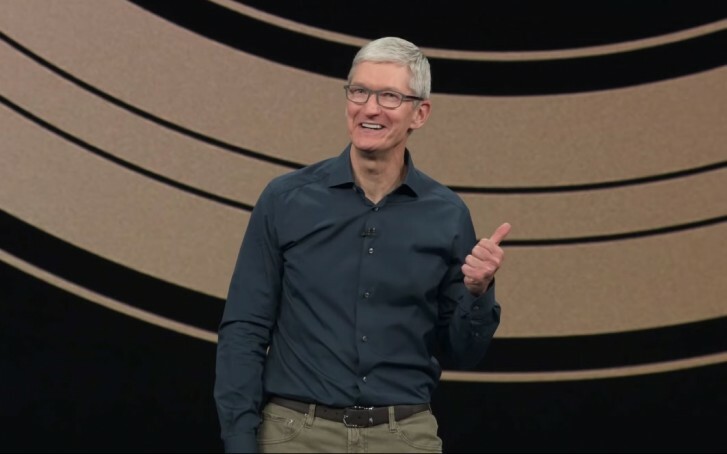 Apple held an investors meeting in Cupertino this Friday where Tim Cook got a chance to briefly and vaguely discuss future Apple products. While he didn’t go into very much detail about what products we might expect from Apple. Tim Cook was quoted by Bloomberg telling investors that he’s “never been more optimistic” about the company today and where it’s headed. Cook said Apple is “planting seeds” and “rolling the dice” on products in the future that will “blow you away”. We hope this means that Apple is going to start taking more risks with products in the near-future. Cook says there is a “long, great roadmap of fantastic” products pertaining to the Apple Watch and AirPods. We can expect more health-related features coming to a future Apple Watch. The Apple CEO also mentioned plans to lower the price of the $1,200 MacBook Air with retina display, as Bloomberg puts it – ‘eventually’. Meanwhile, Cook said the company was on track to doubling its services revenue by 2020 to $50 billion. Apple is rumored to be holding a March 25 event focused on services where it may announce a News subscription and possibly a Netflix-competitor service for streaming movies and original TV shows. Although Cook didn’t discuss Apple’s plans for augmented reality glasses, which is believed to be actively being worked on by the company, he did discuss Apple’s long-term plans for building in-house processors for its own products which we might start to see five years from today. Apple saw the first decline in sales this past holiday season since 2001. The iPhone is Apple’s biggest money maker and the company saw a clear decline in sales due to a number of factors including the rising average price of the iPhone combined with the fact that people are holding onto their phones longer. In addition, Apple’s extension of the $29 battery replacement program hindered sales of new iPhones. Lately, Apple has mostly been releasing refreshed products with incremental updates rather than entirely new products over the past several years. Apple needs to be on the cusp of innovation again. When it launched the iPhone back in 2007, it literally changed the entire industry. Many are looking to Apple for the next life-changing product like the iPhone was.